Passive: Basic attacks & abilities apply Weakness for 4 seconds (up to 8 stacks). 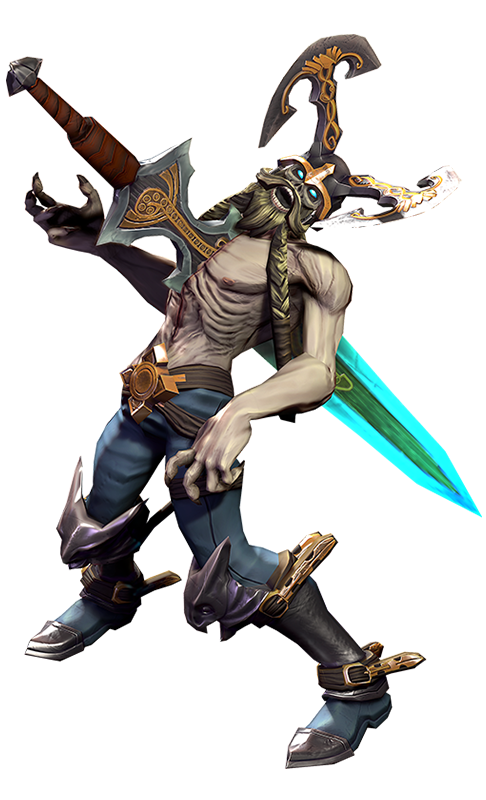 Each stack reduces the target's attack speed and crystal power by 10% and increases Krul's lifesteal against the weakened target. 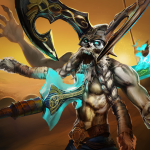 Krul pulls Hellrazor from his chest and hurls it in the targeted direction. If the sword hits an enemy hero (on the way out or the way back), it stuns and slows the target and deals damage. Stun duration is longer based on the distance the sword has traveled. If you must thrash endlessly as an undead warrior, why not embrace it? 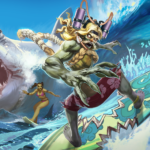 Coming soon to Vainglory, experience Death Metal Krul! 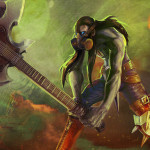 He’s replaced his sword with a sick guitar and his battleground is the stage. I could feel pain creeping upward. It went deep into my bones. The pain rose up my legs, churned my belly, gripped my throat. I crawled to the bushes to hide and watched as the minions died, writhing. I watched seasoned warriors twist in agony… and collapse without ceremony. I didn’t dare move; I curled up and prayed that whatever had done this would pass me by. 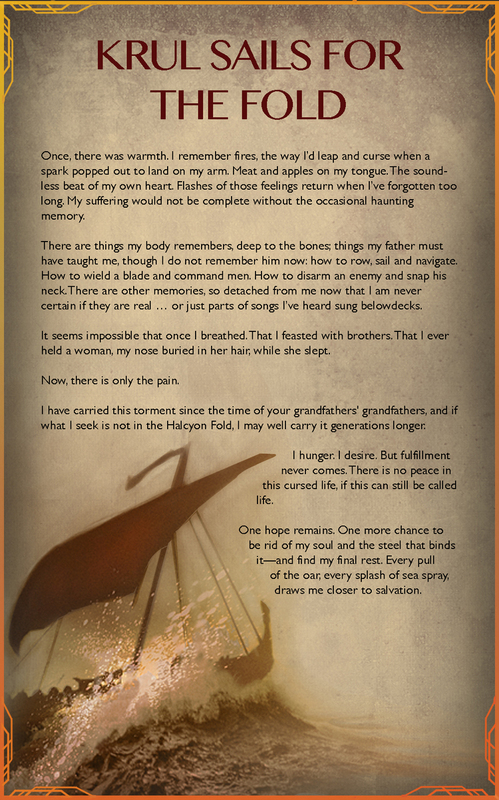 I will never forget: He came out of the shadows, his jaw opened wide in a battle scream, eyes glowing with hate. He is some cursed dead thing that cannot be stopped. You don’t believe me, but it’s true; nothing could survive that wound – that agony. He went through the minions, ripping them apart. There were only pieces of things left on the ground when he was done. I was lucky; he passed me by. And I crawled here on my belly like a coward. Believe me, he will come for you, too. You’ve been warned.